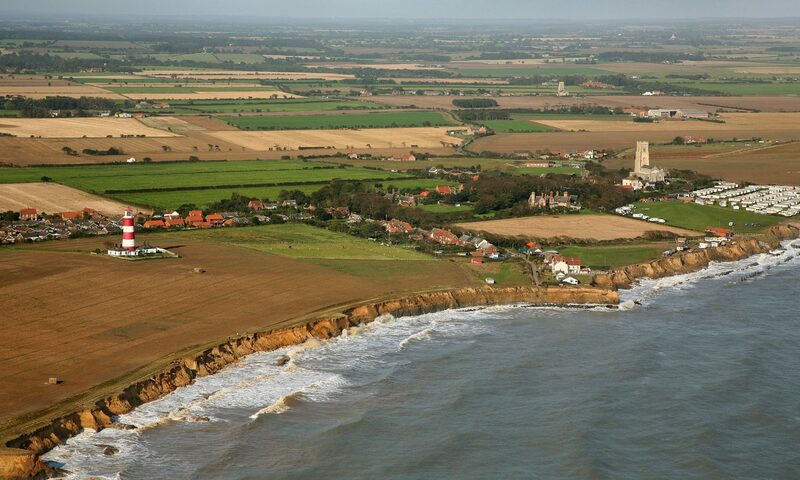 ANGRY villagers are vowing to step up their battle for sea defences to protect their North Norfolk homes, despite being told by a top Government official there is no money in the pot. A deputation from Happisburgh travelled to the corridors of power in London on Tuesday – but were met by gloomy news. Environment Minister Elliot Morley offered them sympathy, but no hope of cash to shore up their shoreline. A £700,000 rock groyne project was the last plan to fail to get off the ground because of a raft of delays, technical and funding problems. And the cost of a scheme to protect the east end of the village and rebuild a storm-shattered lifeboat ramp is now put at £2 million. Villagers were frustrated to hear Westminster officials constantly refer to problems meeting “criteria” during the hour-long meeting, but later talked of their determination to fight on. The meeting had confirmed there was no help coming from central Government, but they would carry on fighting for funding. “There is absolutely no way that this can stop here – if it did we would be sentencing the village to death,” he said. He attacked the “completely dismissive attitude” of officials who were “so rigid in their approach.” But he said the campaigners would “go forward from here” – starting with another public meeting. She said: “They just flatly refused to listen to the real consequences of what we are facing up to as individuals and as a community” – a charge the Minister later denied. The trio were joined by parish councillor and publican Clive Stockton and Peter Frew, head of law and property at North Norfolk District Council. MP Norman Lamb, who organised the meeting, was also “immensely disappointed” – but pledged to continue fighting. He will call on Government officials to take more account of the longer-term threat of the sea breaking through into the Broads, and will seek support from other coastal MPs facing similar problems. Other issues raised at the meeting included the question of compensation for those who lose their homes, the effect of the nearby Sea Palling rock reefs built in the 1990s and the possibility of justifying funding for sea defences by considering Happisburgh as an emergency situation. After the meeting, Elliot Morley released a statement saying: “I sympathise with the residents who may suffer damage and distress because of the coastal erosion. “However, we must accept that natural events such as coastal erosion can never be entirely prevented. And he stressed that his department recognised the human aspect of coastal erosion — by taking account of social, health and environmental issues and not just economic values. “Regretfully, there are major cost and technical challenges which makes any proposed scheme very costly to protect a very small number of homes. “That is not to say a scheme may not be affordable or justified in the future but at the moment it does look difficult to do,” he said.